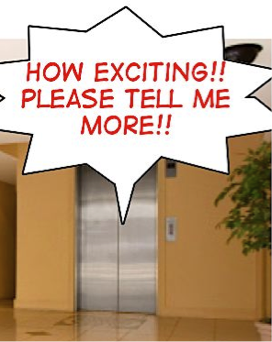 While the prior posting presented an overview to the importance of the pitch, this blog-post develops a pragmatic approach to the construction of the Elevator Pitch. It is much harder than you think to describe a complete business with multiple moving parts in a brief rapid fire sequence of statements that display your enthusiasm and commitment (a.k.a., passion) for your venture. My proposal is first to organize the script as a written set of perfectly crafted sound-bites that you can reuse multiple times in different settings to communicate your venture. By reusing the same, highly refined content adapted to the requirements of selected media campaigns: web presence, company brochures, venture one-pager, e-mails, product descriptions, etc. ; you will ensure the consistency of your message and enhance your productivity. The next meeting is assured! Step 1: WHAT IS THE PAIN? HOW BIG IS IT? AND HOW DO YOU SOLVE IT? What are the opportunities emerging from alleviating such a pain? Think of headaches… migraines would be even better, and show me that every person on the planet gets one at least twice a week! Why now? Too early or too late? Any dominant force in the market? Step 2: HOW DO YOU INTEND TO DEVELOP THE SOLUTION AND CAPTURE THE OPPORTUNITY? Tell me about your “improved” new aspirin and how you intend to reach the billions of people who get migraines twice a week. How this “improved aspirin” will benefit all the stakeholders of the venture? Cheaper, faster action, no side effects, easier pill to swallow, easier to manufacture, higher margins, cleaner process, etc. If used as a tool. Quantify productivity increase. If used as part of a process. Quantify the improvements in term of time, throughput, maintenance savings, energy savings, etc. Identify sustainability and community benefits. Are all benefits delivered at once? Or phased over time? Great ideas are a “dime a dozen”. It is all about superior execution. Manufacturing billions of aspirins every day with the quality and cost targets are not an easy task. Persuade me that you can and will deliver superior results. What are the key activities required to launch the business. Can you distinguish the trees from the forest? Every business is complex and new ventures cannot address all of them. Can you simplify and prioritize the few essential ones. Who are the stakeholders and their needs? Do you know their needs? Are their interests aligned? Which are the key partnerships you need to develop? How do you intend to leverage each one? What type of partnerships? Are they sustainable? What are the critical success factors? Can you obtain them? Is it realistic? Will your aspirin make all of us richer? The selected business model? Why? Founding sources? How many rounds? Total funding required to break even? You confidence that you will never ever run out of cash! Step 6: WHO IS IN YOUR TEAM? CAN YOU BUILD AND DEVELOP A GREAT ORGANIZATION? What critical positions are you missing? Can you recruit them? How have you and the other members of the management team built great organizations before? 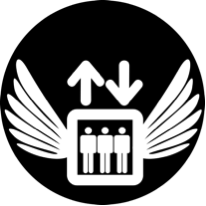 Do you have the management strength required? Have they performed at peak over sustained periods of time? Step 7: HAVE YOU IDENTIFIED THE RISKS AND THREATS? What are the key risks you will confront? How do you intend to manage them? Do not over do it! Please. How do you intend to sustain your “Unfair Advantage”? Your Grand Vision about the industry/the world and how you will dominate! The “greed” factor: Appeal to it, most investors are greedy! Step 10: PRACTICE, PRACTICE AND MORE PRACTICE. Until you feel confident that you can deliver in every situation the perfect pitch in the eyes of the audience. Manage the audience; anticipate most questions and every question must be answered, even if it means “I will mail you the answer in 24 Hrs.”. Remember again the onion metaphor described in Part I. Pursue your discussion layer by layer, each one completely self-contained. The challenge is starting at the outermost layer and keeping the explanation whole while also consistently at the right level of abstraction. You might find it difficult to resist the temptation to dive deeply into the heart of your idea and go all out. You’ll want to show how brilliantly you can take deep conceptual dives into the heart of the business or the underlying technologies and then return safely to a more surface-level discussion. How long is the perfect pitch? It should be few seconds less than the allocated time. Sometimes the allocated time is fixed by external circumstances out of your control. If it is within your control, it has to be a bit shorter than what you think would feel like a monologue. Just say enough for your audience to ask for more. After everything is done, through your script away and let it flow naturally. Deliver a personalized message, customized each time to your audience. Keep it brief and clear. Time yourself to the 15 seconds you may only have to the 90’ or so when it starts feeling like a monologue. Keep in mind that this is NOT a lecture, but a conversation. Hence, keep it concrete and consistent. Furthermore, you are establishing your credibility. There are few things more emblematic of credibility than an impeccable synthesis of complexity, layering, dividing and conquering, through a sequence of sound bites of neatly assembled building blocks. Entrepreneurs DO care about the first impressions, and your elevator pitch is one of the key tools at your disposal to make the positive impact you seek in the first 30 seconds. Keep on pitching until you master the art! And do not forget the ASK! The responses you get may surprise you, and you will never know unless you ask. The delivery depends on the public speaking and business communication skills of the entrepreneur. This compounded by the fact that for most foreign entrepreneurs English is the second or third language. For this reason the development of written capsules are of paramount importance. This entry was posted in My posts and tagged entrepreneurship, pitch. Bookmark the permalink. What a nice surprise to know about you. Hope we meet again. Best amigo — Carlos B. Very good Carlos!! While the context is different, I would suggest emphasizing your point through a reference to the normalcy bias in the sense that people have a tendency to underestimate the effects of their initiatives they undertake to counter the effects of upcoming inevitable disasters.